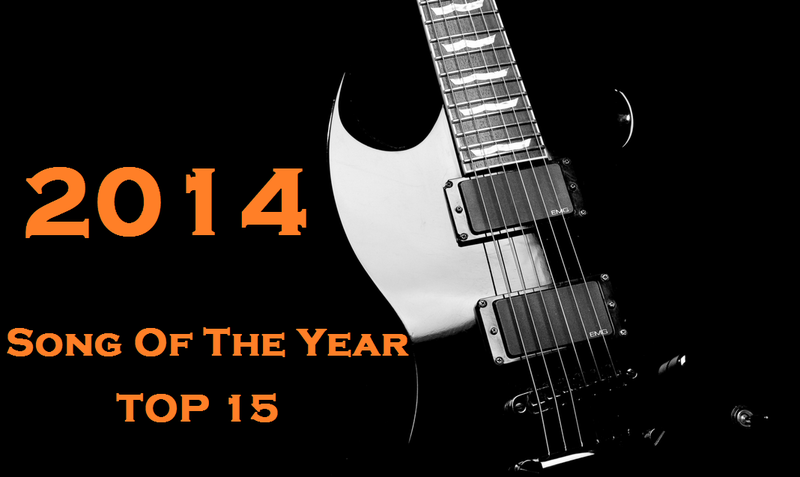 Rock & Metal 4 You: Special: TOP 15 Songs Of The Year 2014! Special: TOP 15 Songs Of The Year 2014! various websites and magazines are publishing their "best of 2014" lists these days, so I'd like to jump on that train too and today I'll reveal the 15 best songs of 2014. For sure this is my personal taste, so maybe you guys have other favorites. Would be nice if you could put your top 5 songs of the year into the comments under this post. I'm very interested in what you think! All in all I must say that 2014 offered tons of great songs, but there are particular tracks that really stuck in my head the whole year. Those are the ones that are worth to be mentioned here. # 01: H.E.A.T - "Emergency"
In my opinion this is the perfect example what a fantastic Melodic Rock song is all about: a huge hookline in the chorus, amazing vocals, soaring guitars and a rhythm that is so full of energy - simply THE best song I heard this year! # 02: LOVER UNDER COVER - "A Fight"
"A Fight" is a monster of a song, especially because of the fantastic vocal performance by Mikael Erlandsson and the amazing chorus. This was the opener of the second Lover Under Cover album and when I heard this one for the first time I was so excited of the rest of the album, but sadly no other song on this record could keep up with "A Fight", so the whole album was a bit disappointing. But no matter what - this particular song is pure Melodic Rock bliss! # 03: AMMUNITION - "Wild Card"
Sorry folks, but there isn't a video on Youtube, so if you'd like to listen to "Wild Card" have a look at the snippets at Amazon & Co. Fact is that this song is a catchy anthem in the typical Bon Jovi vein and it makes you feel so damn good. This song came out pretty late this year, but it blew my mind and I can't stop listening to it. It's on heavy rotation in my car! # 04: STEEL PANTHER - "Party Like Tomorrow Is The End Of The World"
# 05: JOHNNY LIMA - "Blame It On Love"
Since the first time I heard this song I fell in love with it. Johnny Lima created once again a fantastic earworm with very sympathic 80's mood and it's simply one of his best songs to date. No wonder that he plays this tune live on each show. 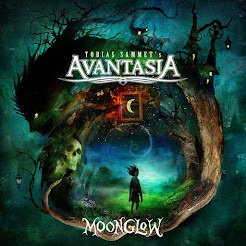 # 06: FREEDOM CALL - "Come On Home"
# 07: SONATA ARCTICA - "Blood"
# 08: DYNAZTY - "Dawn Of Your Creation"
# 09: GOTTHARD - "Thank You"
# 10: UNISONIC - "Your Time Has Come"
# 11: EDGUY - "Love Tyger"
# 12: DION BAYMAN - "Bittersweet"
# 13: ALLEN/LANDE - "Dream With Me"
# 14: DALTON - "One Voice"
# 15: HAREM SCAREM - "All I Need"
CD-Review: Harem Scarem - "Thirteen"
Special: The biggest disappointments in 2014!